We trace our beginning back to 1869 when Christian Frautschi started the C. Frautschi and Son Funeral Home on King Street in Madison. After developing a reputation above reproach for excellence in service and relocating to Speedway Road, the Frautschi family sold the business to Bob and Hazel Cress in 1977. Their son and daughter-in-law, Bill and Sherry Cress, joined them at that time. 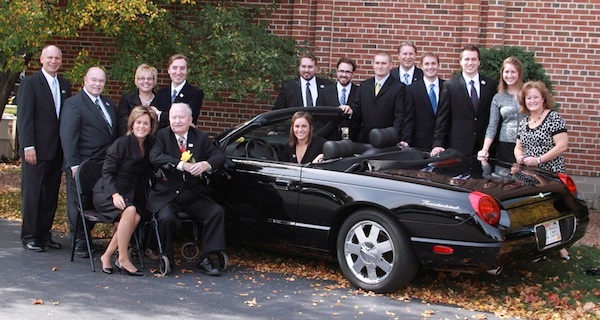 In 1980, the Cress family built the Cress Funeral Home in Sun Prairie, complete with it’s own Cremation Center. In 1986, the Cress family purchased the Schroeder Funeral Home on East Washington Avenue, which was founded in 1906 by Otto Schroeder. There, they were joined by Bob Cress’ son-in-law and daughter, Dan and Mary Fose, and the Schroeder-Cress Funeral Home came into existence. The Olson-Holzhuter-Cress Funeral Homes in Stoughton, McFarland, and Deerfield, were purchased from Paul Olson and Dale Holzhuter in 1992. In 1997, the Fitch-Lawrence-Sanfillippo-Cress Funeral Home on University Avenue was also acquired. The Cress family remodeled the facility and added a state-of-the-art Cremation Center. It was at this time that Carey Cress Fose, Bob’s youngest daughter, joined the family business. Then, in 1999, the Cress family expanded the Speedway Road location to include a one-of-a-kind Community Room, larger chapel and service rooms, a children’s play room, and a complete video and audio system. The Winn Cress Funeral Home was purchased in 2008 from Harvey and Ginger Winn allowing us to combine efforts in serving the Waunakee and surrounding communities. This was a natural fit as we share the same core values of providing the highest level of service and integrity. Now in 2012, we are proud to be bringing new service options to the Middleton and Madison communities through a complete renovation of the University Avenue facility. The Cress family will be introducing The Cress Center for all of life’s celebrations and special moments. It will be complete with indoor and outdoor dining options for over 100 people; large multi-purpose rooms for over 175 people seated; private cremation state rooms; high quality audio and video for the best music and visual opportunities. The entire Cress family is proud of their heritage of service. As funeral directors, our calling imposes upon us special responsibilities to those we serve and to the public at large. An important obligation of ours is to provide information so everyone can make knowledgeable decisions. Cress contributes time, energy and finances as officers and supporters of many local service clubs, the fine arts community, area youth sports and school activities, Shriners Crippled Children’s Hospital and Burn Centers, Chamber of Commerce, area pediatric and hospital programs, hospice facilities and programs, and religious organizations.